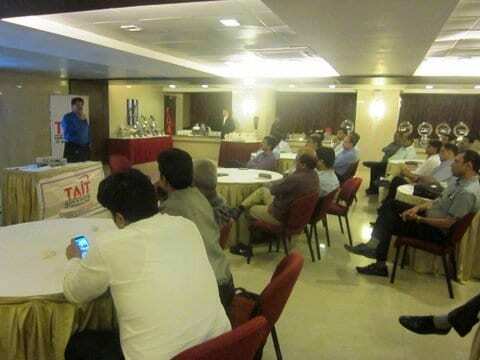 With an objective to empower channel partners with the knowledge on new-age businesses practices, Mumbai based Trade Association of Information Technology (TAIT) organized a seminar on Wednesday 25th Feb. 2015 at Hotel Krishna Palace. 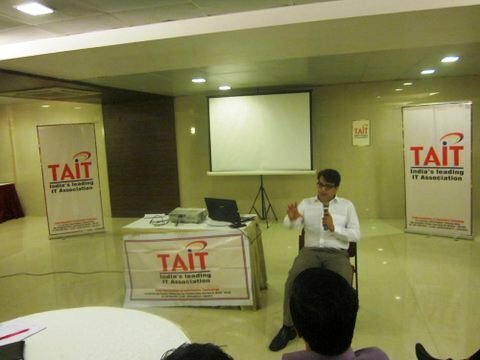 Ketan Patel shared his experiences in the business in the changing business scenario. There were three distinct sessions held in the power packed evening. The first session on managing the business challenges in demanding environment addressed by dynamic leader former TAIT President, CEO, Creative Peripherals Mr. Ketan Patel. He shared his experiences and the path taken ahead in the business in the changing business scenario. He touched upon various aspects of the business such as Vendor Management, Team Building, Finance Management and Logistics Management. There was another informative session on Debt Insurance by Mr. Umang Rathod of Origin on the best possible way to protect the business from the Debt. To reinitiate TAIT’s role as Arbitrator to mediate, the association had invited speaker Advocate Rakesh Jain who briefed the members on the scope of the arbitration. TAIT as Arbitrator is one of the milestone achievement of TAIT. The evening concluded with felicitation of Champakraj Gurjar on being elected as President of FAIITA (Federation of All India IT Associations). He was felicitated by K. R. Chaube, President TAIT in the presence of past TAIT Presidents, Past TAIT directors and present board of the directors. K. R. Chaube, President of TAIT informed that the board has entrusted the responsibility for the Channel empowerment activities to Mr. Rahul Zaveri as Channel Forum Chairman with the board appointee members Mr. Mukesh Mehta, Mr. Vinod Vanigota and Mr. Kamal Kamdar. The members once again witnessed Rushabh Shah’s unique style of conducting the event with the motivational, creative in between glimpses from Mr. Rahul Zaveri. 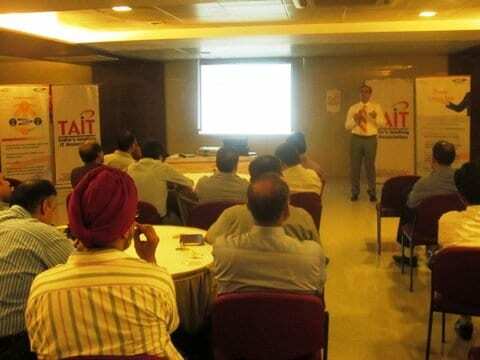 The attendees appreciated the efforts of the TAIT board through TAIT Knowledge Series events. 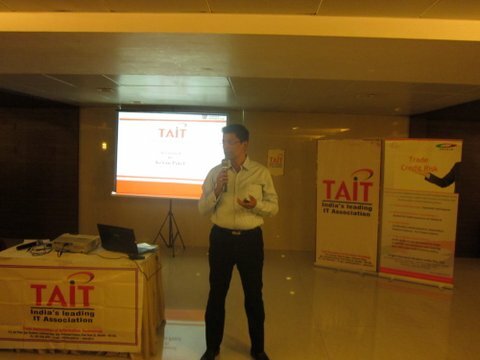 TAIT organizes seminar on Empowering Business – Enhancing Engagement 0 out of 5 based on 0 ratings. 0 user reviews.